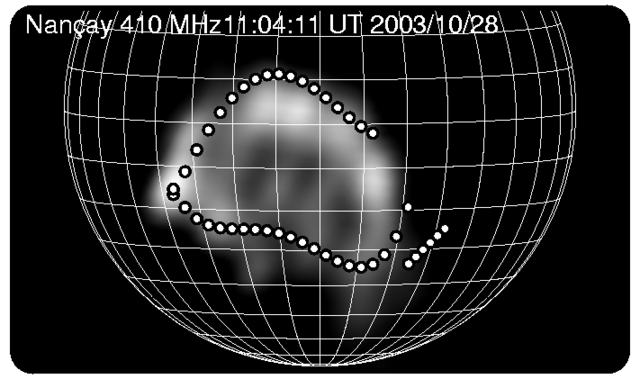 The spectrum includes an interplanetary type III burst which starts, in the low corona at decimeter wave length, a type II burst and a complex continuum. 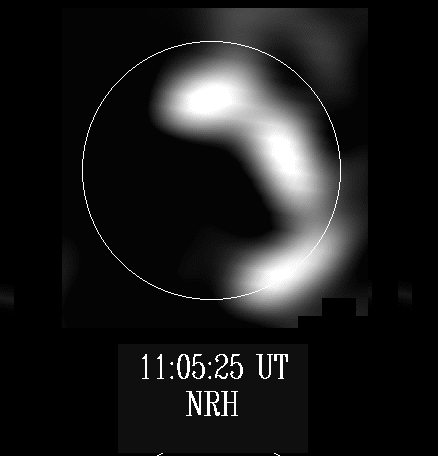 NRH image at 410 MHz (11:04 UT) with the position of the Moreton wave (11:05 UT) superposed. The evolution of the Halpha and radio emissions seen by the Meudon H? 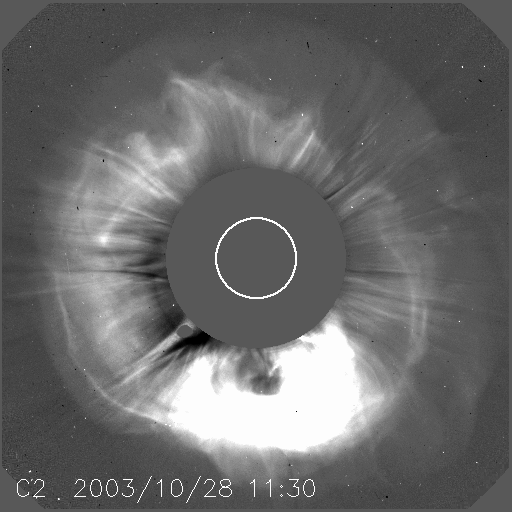 telescope and the NRH are associated with a X17.2 flare and a halo CME. 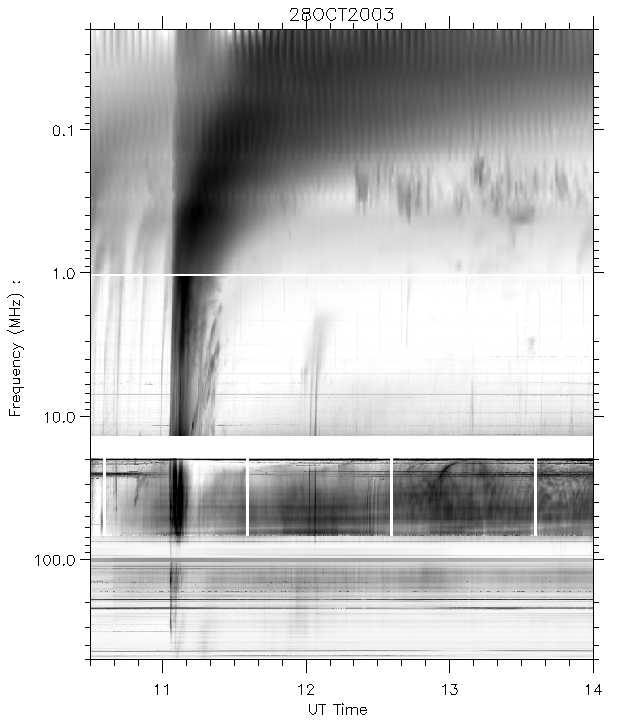 At 164 MHz, radio images show that the emission covers the whole disk of the Sun and extends as far as 1.8 Rs from the sunÕs center in a few minutes. The radio emissions, the Moreton wave seen in H?, and the CME all show a similar temporal and spatial development and the three phenomena are likely to be related.